Rosahl PD3 is a low energy thumbnail size membrane dehumidifier designed for use as an IP camera dehumidifier, in CCTV camers and other steady state environments that are closed to the ingress of further moisture. Larger sizes are available for drying storage cabinets, display cabinets, protecting moiture sensitive devices, preserving artefacts, and a wide range of similar applications. The Rosahl membrane is a solid state dehumidifier that requires a 3 Volt D.C supply. It has no moving parts and is therefore silent and vibration free in operation. It is also very economical to run and requires no maintenance. Rosahl is a compact electric dehumidifier that uses an ionic membrane to electrically dehumidify enclosures of less than two litres in size. 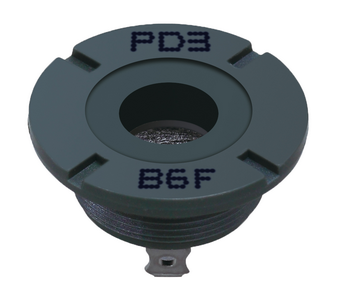 The PD3 version model is 75%smaller than a regular AA battery and is installed through a 12mm diameter hole in the enclosure. It is the World’s smallest electric dehumidifier in commercial use. 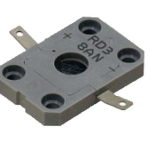 Larger sizes are available for enclosures up to 4m³. 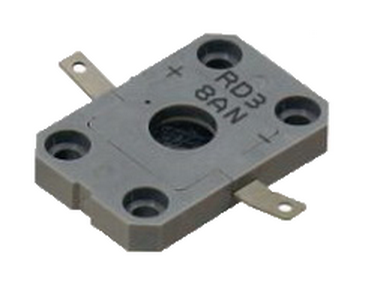 With the same price and capacity as the circular PD3 model, the RD versions have a flat profile and use four mounting screws. 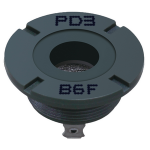 They are available for mounting inside of the container (model RD3), or outside in the case of the RD4.